I have done some research on Men Crocheting and it seems that there a few of them that enjoy this craft. 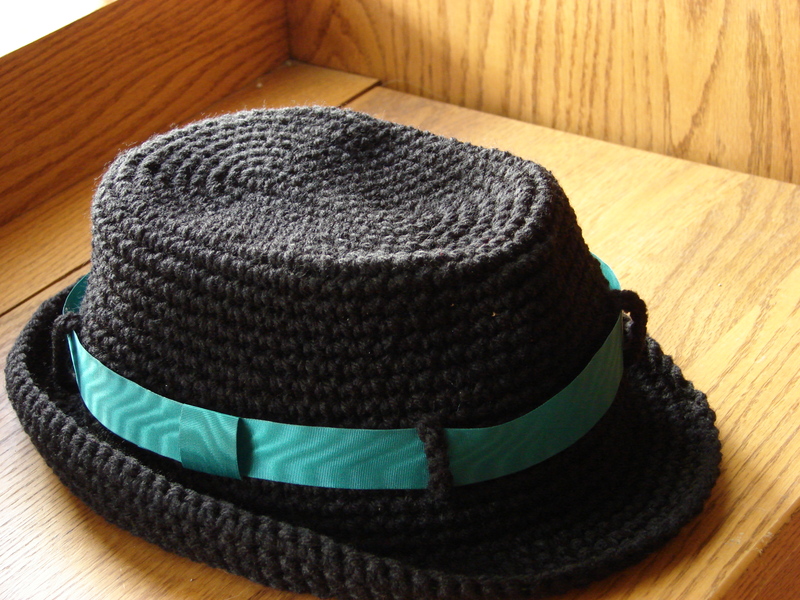 The Crochet Dude is known in crochet circles and here is another guy that blogs from my home state WI about crocheting among other things Real Men Crochet and other things. When searching for patterns for Men I find mainly hats, afghans, scarves, some sweaters and vests. I have 3 boys and was looking for some sweater patterns to make for gifts. In my research I was just not coming across anything that I knew they would wear. This is why I decided to start designing items for Men. I have always loved to make things for my family and give them as gifts but there is only so many hats and afghans that they can use! I love to use Pinterest for inspiration on Men’s Fashion. There are so many ideas that you can use for inspiration and for patterns. I was trying to see how many different things that I could find for Men that have been Crocheted. I know you will recognize these Men that are wearing crochet vests. 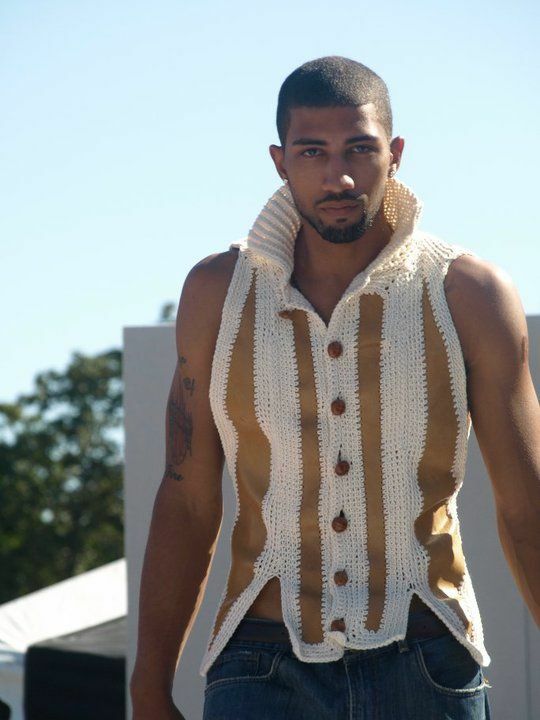 These were some of the pictures that I ran across while researching for Crochet for Men. 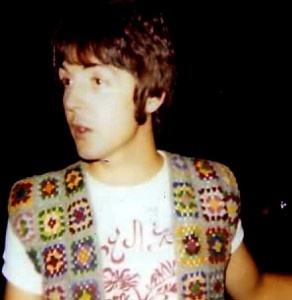 Both Vests are made from Granny Squares. These are a few of the items I have created for my boys and grandson. 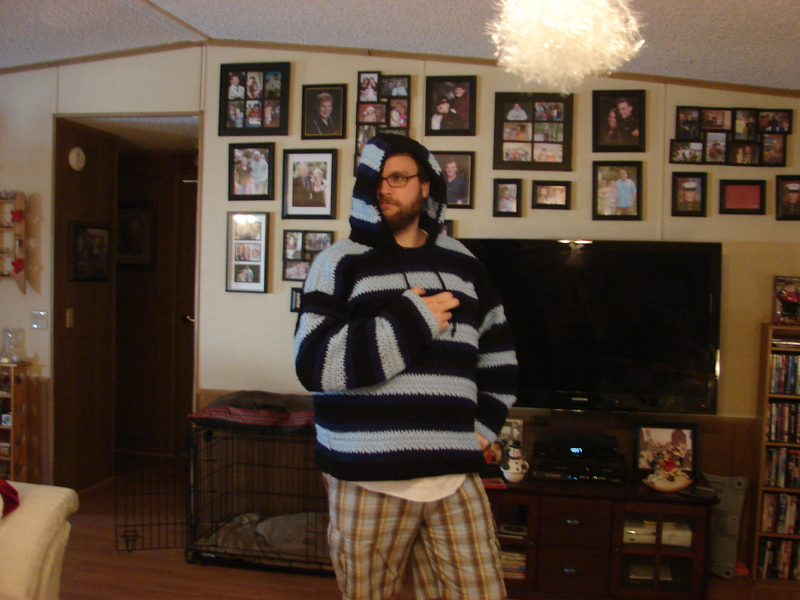 My middle son is pictured wearing the hooded sweater and has helped me quite a bit with items to create. He will see something and he will say “Mom” could you by chance be able to make this? 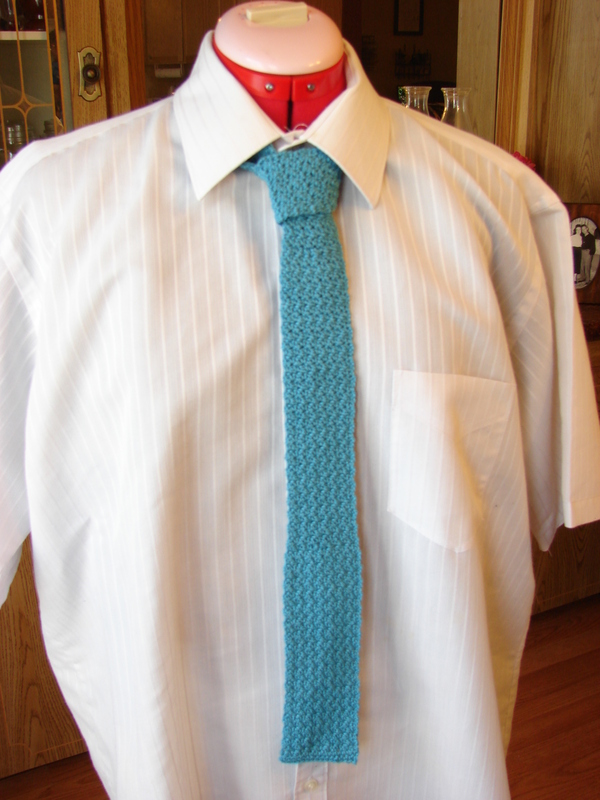 This is where the idea came from for the Fedora style hat and the Tie. If you know of any guys that crochet I would love to hear about them. As always thank you for stopping by and taking a look! 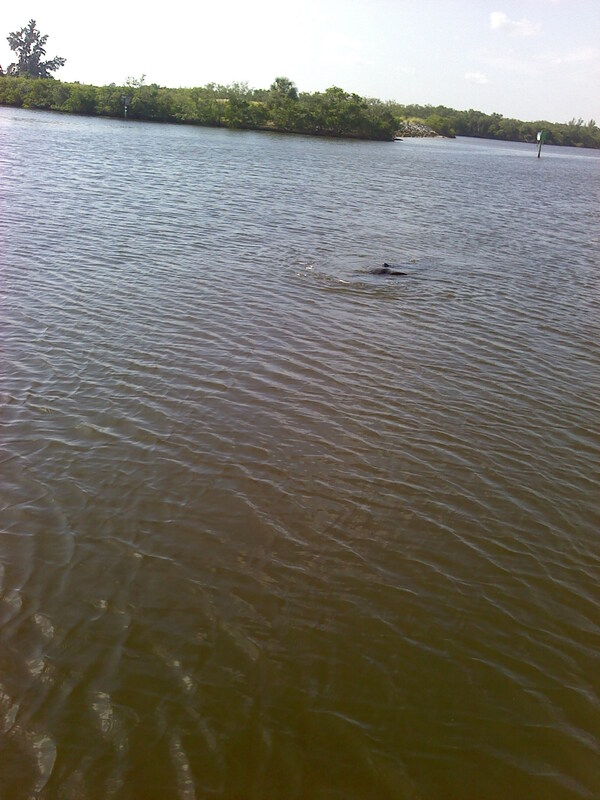 I thought I would share with you the fun I had capturing these pictures of Manatees. In July of 2012 my husband Dennis and I were painting a Sail Boat on a canal in Apollo Beach Florida. 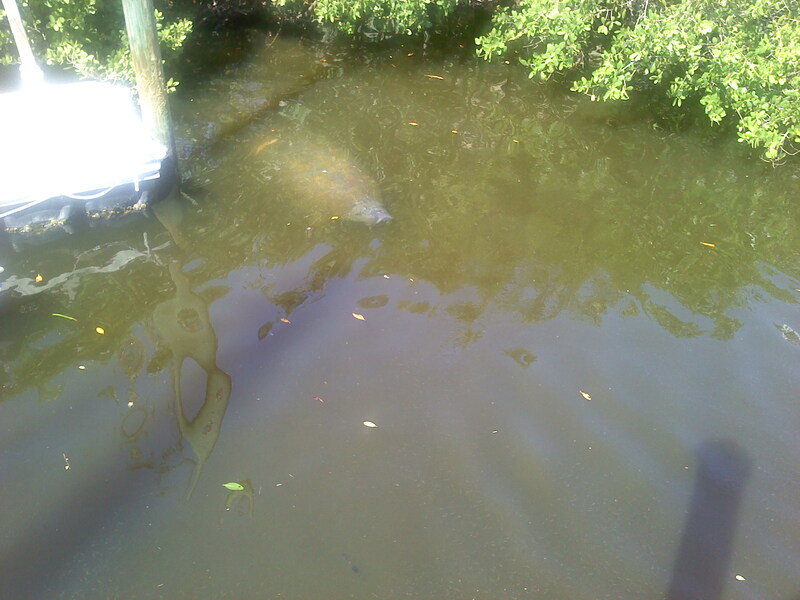 I was able to take some pictures of Manatees that were living in a canal in the Mangroves. I was so excited get some great photos of the whole Manatee. I have been trying for years to take some pictures of them and have them be of the Manatee and not just the water, a tail or a head shot. Here they were just coming in from the Bay to the Mangroves. 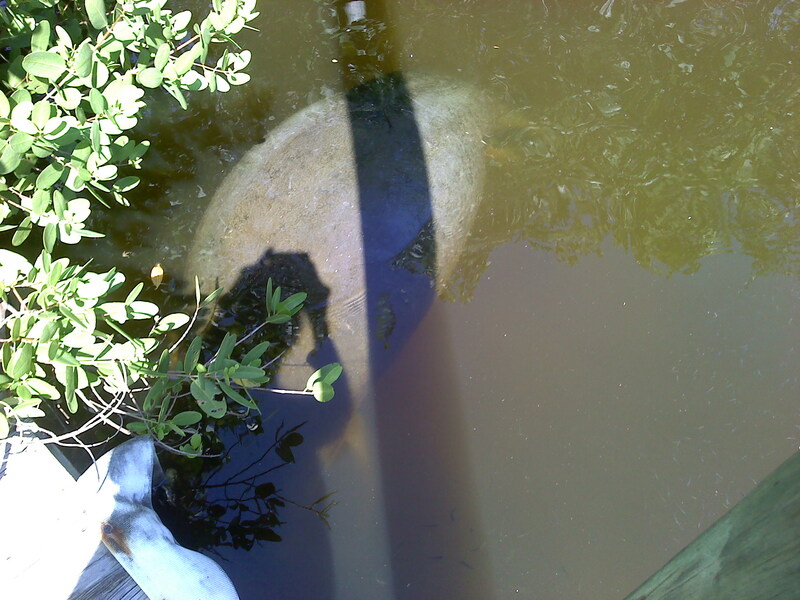 The first picture is how my pictures would look when I was finished taking photos of the Manatees. It was so Great to be on the canal in their natural environment and hear them coming closer. You can hear them when they come up and when they dive back down under the water. I am lucky to have a viewing center near by when the weather turns cooler. 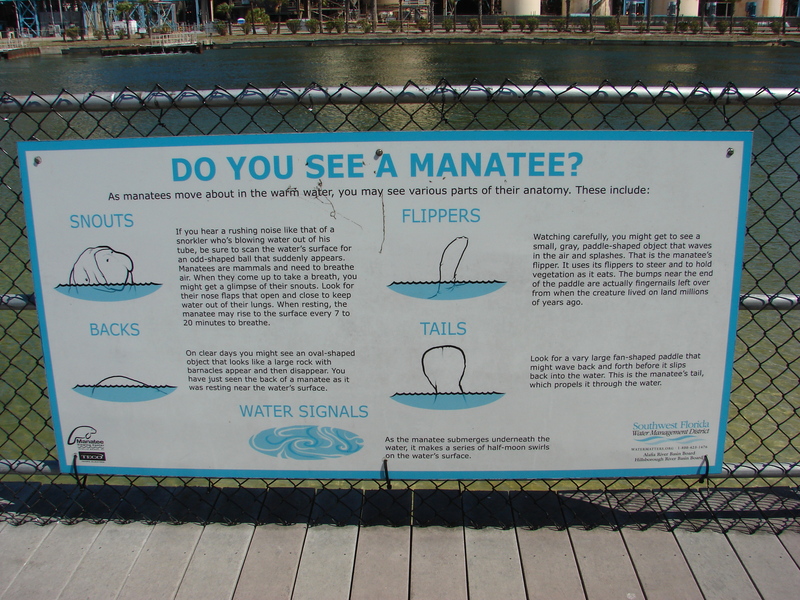 If you are looking for information on the Manatees it is a fantastic spot to visit and learn. We will bring company here and they love it! 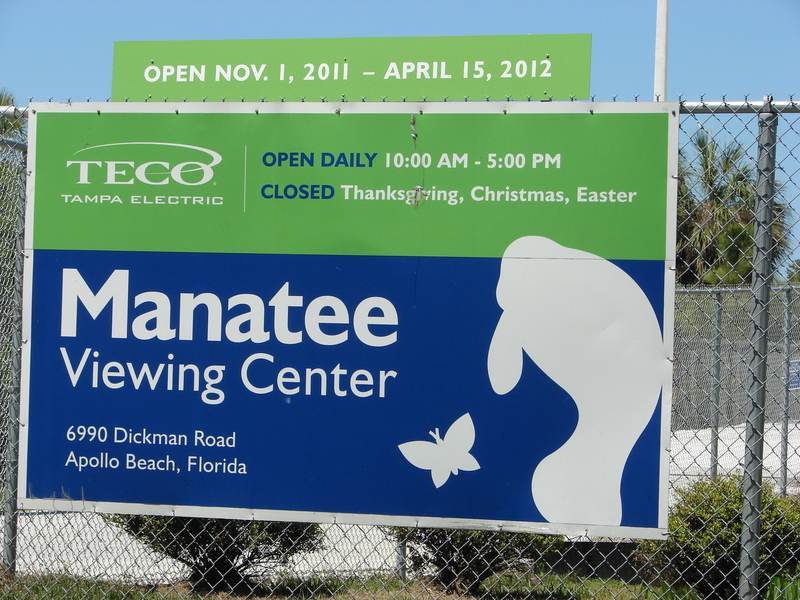 Manatee Viewing Center – Tampa Electric. Manatees are a large, fully aquatic, mostly herbivorous marine mammals sometimes known as sea cows. 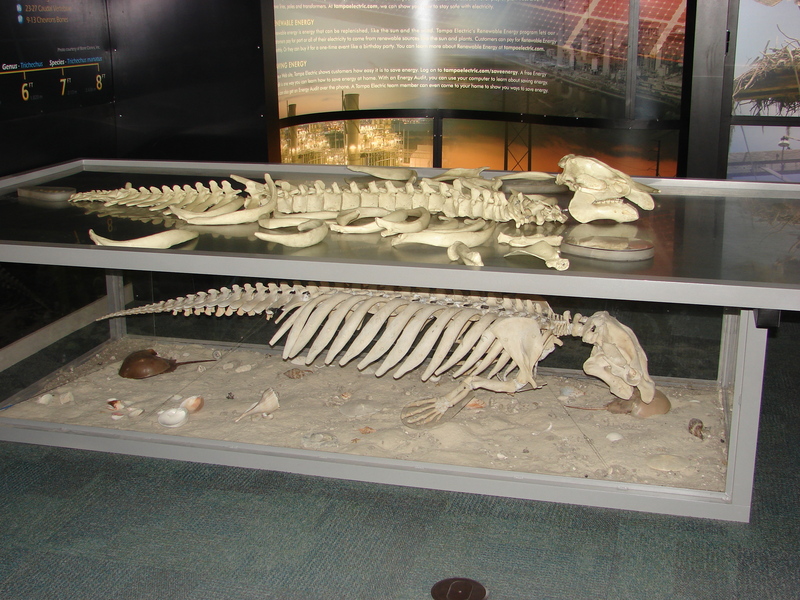 They measure up to 13 feet (4.0 m) long, weigh as much as 1,300 pounds (590 kg), and have paddle-like flippers. 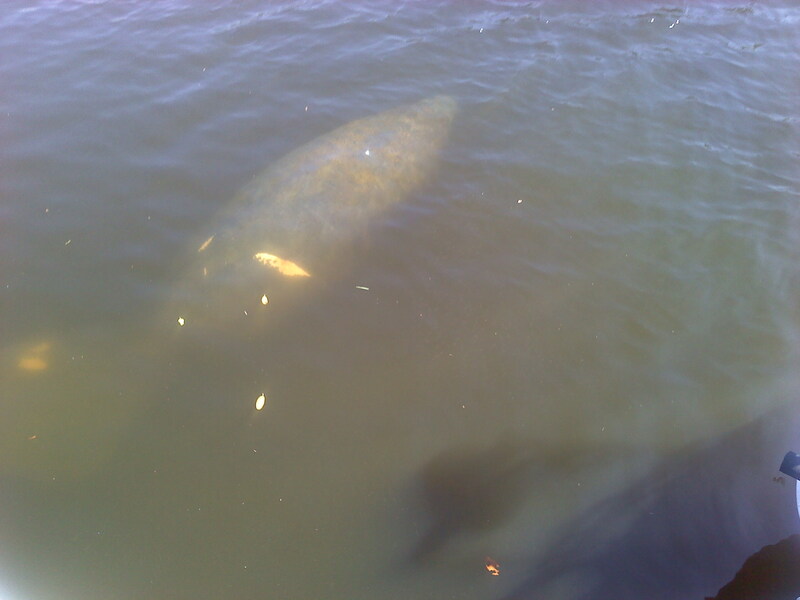 I was able to walk onto the pier and get a close up of the Manatee. I was trying my best to be quiet and not spook it and have it swim away. 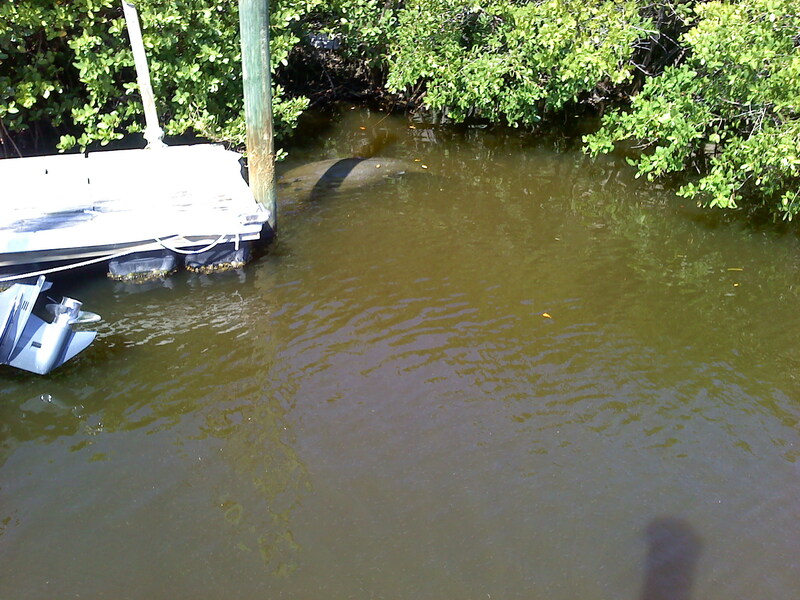 The second picture above the Manatee had begun to swim back out into the canal. I have to believe there was something special about that day because the sun was shining and the tide was out so I was able to get close to these beautiful giants! I had felt blessed that day and also excited to be able to capture these pictures. 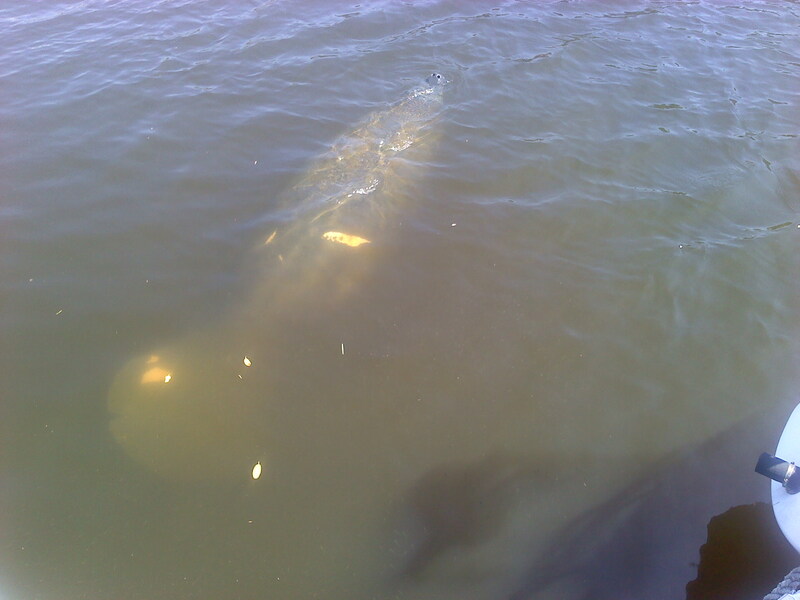 They are slow moving and have been known to get caught up in the props of boats. As you can see here there is scarring on this Manatee. If you are interested here is a link for information about Manatees. Florida Manatee | Basic Facts About Florida Manatees | Defenders of Wildlife. I hope you enjoyed these pictures of the Manatees as much as I did taking the photos! Thanks for stopping by and having a look!! It is always amazing to me how many projects I have going at once. I sometimes think why can’t I just finish one before I start another one! I have come to the realization that it is never going to happen!! I guess I will never know why it works that way. I get into a project and then my mind starts to wander or maybe I just start to daydream about what else to I would like to make. 🙂 I do eventually finish the projects I do start, well okay if I am going to be honest I do have some that have been put away for years. Hmmm guess I should look into those one of these days!! 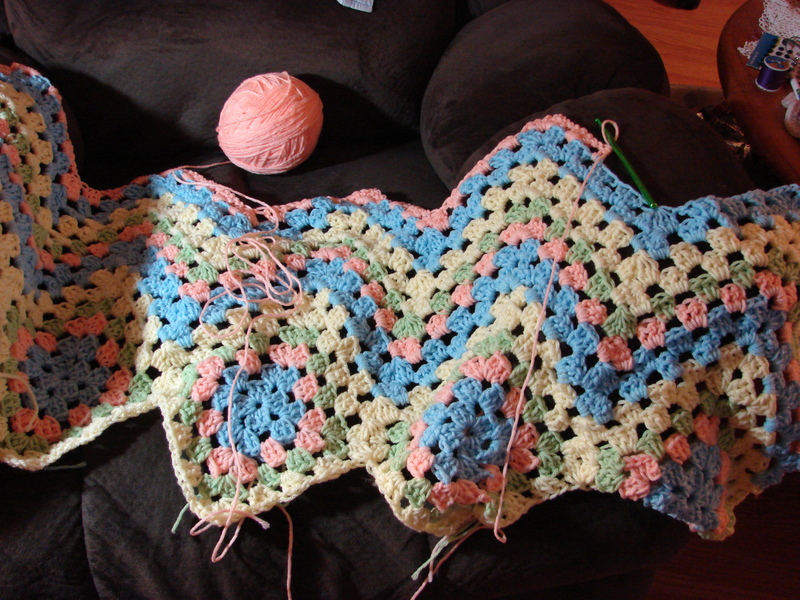 Below I have a Granny Square Afghan that I started and am still working on. Here I have the Granny Squares themselves made without sewing them together. I have a total of 5 squares made for the Afghan. 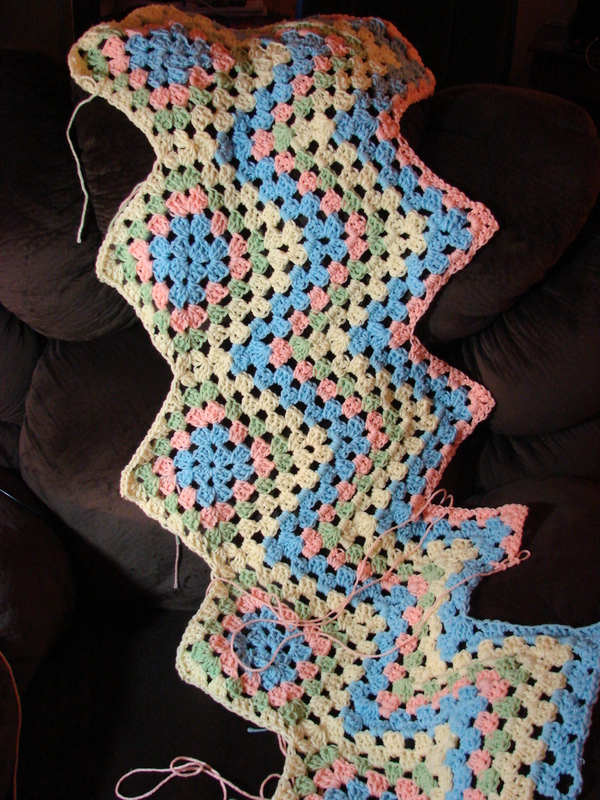 Here I attached the Granny Squares together diagonally. 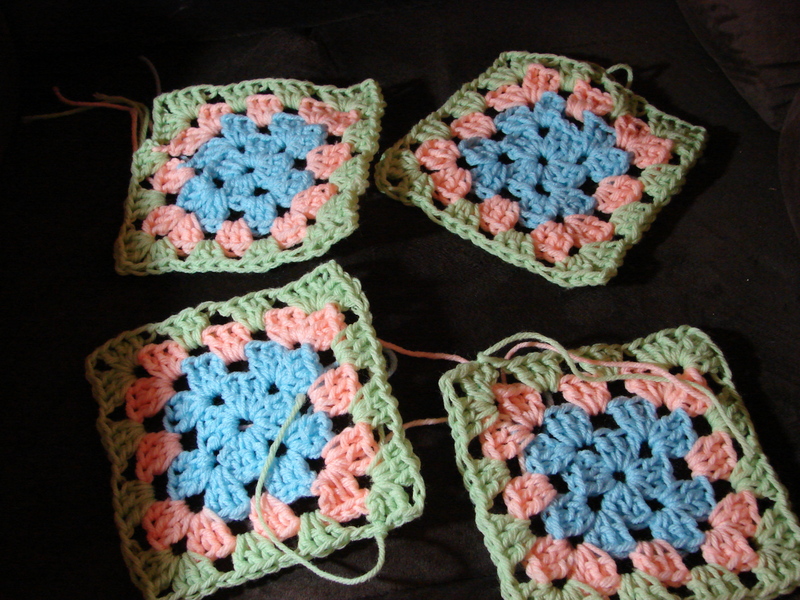 I then proceeded to work on one side of the Granny Squares with a Ripple or Chevron pattern. Here is the link that shows you pictures of how to attach the squares together and proceed with the zigzag pattern. Tutorial Manta Hueco Zig Zag | Buscando Comienzos. You will have to use a translator for English. Below is just another view of what I have done so far. This is going to be a top to wear over a tank. In the first picture I was using only 1 strand of thread and a smaller hook. I of course changed my mind and started all over with 2 strands of thread and a larger hook. It is of the same stitch, the Marielle Lace Stitch. You can find it here How to Crochet the Marielle Lace Stitch NewStitchaDay.com. 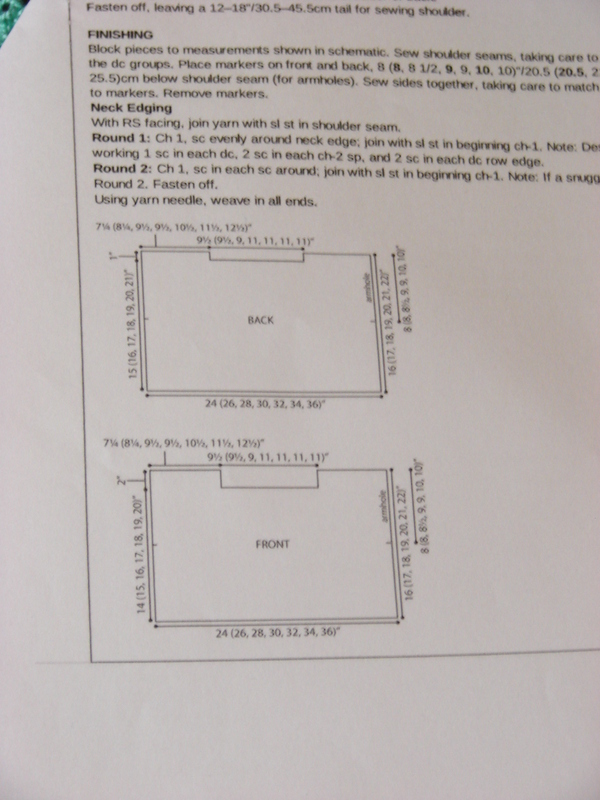 Here is the diagram I am working off of. As you can see it is basically a square with a neck. This is such a simple top to make. The front of the neck just goes down 2 inches and the back just 1 inch. The sides are just sewn up to where the armhole would be. 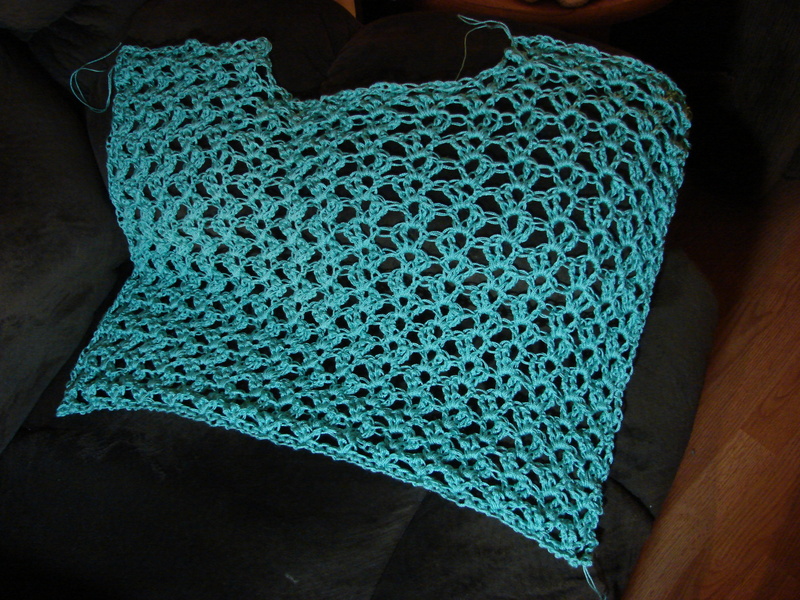 There is not any shaping for the armholes. That makes this a very easy top to create. It is meant to be a crop top but you could always add to the length to make it what ever size you wanted. There are so many possibilities for this top. 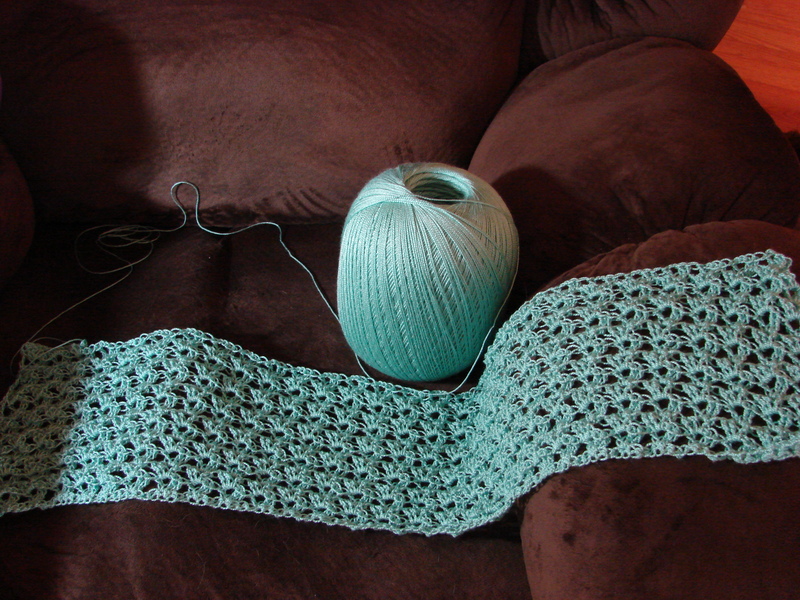 Make a tighter stitch, longer length, or a different width. Depends on what you want from the top, a tighter fit or looser like I wanted to layer over a tank top! Oh by the way I am also in the process of finishing up on the Barbie dress. I have to wonder sometimes if I am the only one who has this many projects going at once! lol I sure hope not! !